"Borrowing Problems From The Future"
The powers-that-be in the Berlantiverse must have been well aware that The Flash would disappear from the schedule for weeks before this episode aired, because “Borrowing Problems For The Future” is all about getting us back up to speed (so to speak) on the season so far and pointing the way toward where it’s going. It does both of those things effectively enough (maybe too effectively in the case of the former, as Iris’ death at the hands of Savitar is replayed three times within the first minute of the show), but the transitional nature of the episode keeps it from qualifying as a top-shelf hour of The Flash. The worst case scenario following last fall’s cliffhanger was that Barry would keep the information about future Iris bottled up, resulting in the same breakdown in trust we’ve seen play out time and time again. That proves to be the case in the first half of the episode, which opens with Barry and Iris now sharing the sort of swanky loft a reporter and a cop can only afford on TV. Barry has been having nightmares, the exact nature of which he won’t share with her as they involve Savitar impaling her chest a few months into the future. Yes, Barry is still the worst, but maybe he’s trying to be better. He holds onto the secret long enough to lash out at Wally for turning his Kid Flash lessons into on-the-job training, but even protective father Joe knows the young speedster is ready for action. What he doesn’t know is Barry’s real reason for being angry: he’d been planning to let villain-of-the-week Plunder escape in an attempt at changing the future he’s glimpsed, in which Plunder has been captured and found guilty. Caitlin delivers a timely pep talk about how the members of Team Flash need each other and can’t do it alone (a lesson they have a surprisingly hard time learning given how many times it’s been proven), and Barry decides to spill the beans, showing Iris the future headline that now bears another byline. I feared this would be dragged out for weeks, so this comes as quite a relief. 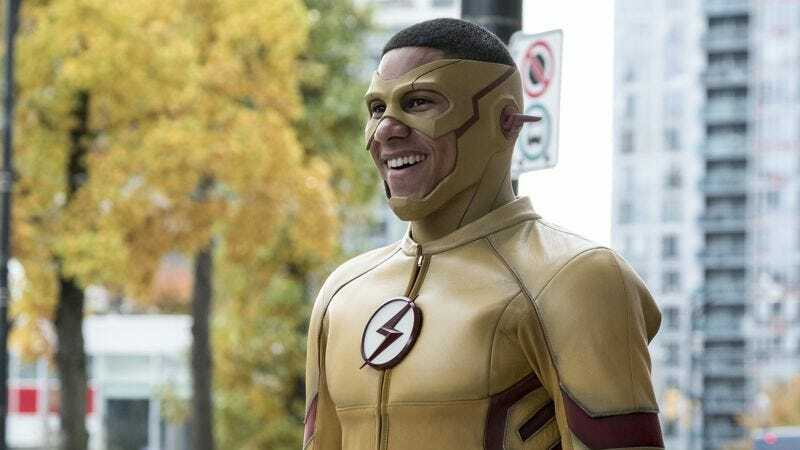 Kid Flash gets his coming out party by taking down Plunder and proving that the future can be changed. (After two-and-a-half seasons of angst over changing the past, it’s now come to this. Of course, even the future is somebody’s past; Reverse-Flash’s, for instance.) Cisco helps Barry vibe back into his flash-forward, meaning we see Iris murdered for a fourth time, but we also get a number of hints about the course of the season, as future events are revealed in a news crawl. It’s a nifty little gimmick: we know what’s coming (including ominous news about the return of Killer Frost), so these almost act as mini-spoilers within the show. 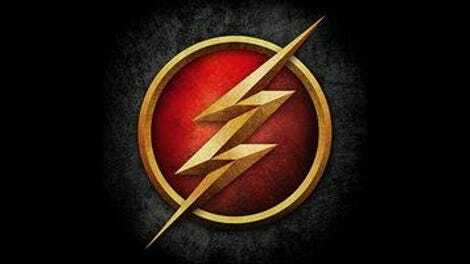 The question is not so much what’s going to happen as how Team Flash is going to change it, if they can. We’ve got the map, now let’s discover the detours. Among the Easter eggs hidden in plain sight in the future headlines: “Music Meister Gets Six-Figure Book Deal.” That’s a teaser for the upcoming Supergirl/Flash crossover musical. Another enticing hint: Central City is still recovering from being attacked by gorillas. Plural. We’ve been promised a two-part Grodd episode later this season, and when last we saw him, he had just been deposited near the Ape City of another world. Julian is apparently now a full-fledged member of Team Flash, which is not something I can work up much enthusiasm for. Maybe the team needs a dour, pessimistic voice now that its Harrison Wells is a much lighter presence, but I’m skeptical. Progress is incremental: Team Flash is still keeping secrets, hiding Iris’ possible fate from Joe. They might want to erase that board on which HR wrote all the future headlines. Is there any point in discussing Plunder further? This episode needed a throwaway villain and it got one.